Create an Interview-Winning Resume – Even Without Paid Experience! Applying for your first big job without a background filled with paid positions can be tricky. Use the guide below to help you through the process and come out with an interview-worthy resume. Unpaid experience is a great way to amass references while getting some free training on the side. Real world experience, paid or not, is highly valuable for employers looking to hire someone who knows what they’re doing. In fact, 82% of hiring managers prefer applicants who have participated in volunteer activities in the past. There are three major things to consider for resumes that rely on unpaid experience to replace of typical professional experience sections. Relevance: Roles that are largely unrelated to your career path may make you stand out as unique, but they are the least critical piece of your resume. Move these to the bottom or remove them entirely to keep the document concise. You should use very little, if any, space when describing these positions. Opportunities that are highly relevant to your career, however, should be explained as in-depth as appropriate. Ask: How did this align with my career goals? What relevant tasks did I practice? Ask: What new proficiencies/qualifications did I gain? How did I apply what I already knew to real-world situations? Achievements: Just like any other resume, you should support your roles—paid and unpaid—with quantifiable achievements as much as possible. This might include leadership responsibilities you were given, awards/honors you received within the organization, special projects you undertook, outreach campaigns you spearheaded, or improvements you made for the good of the group. 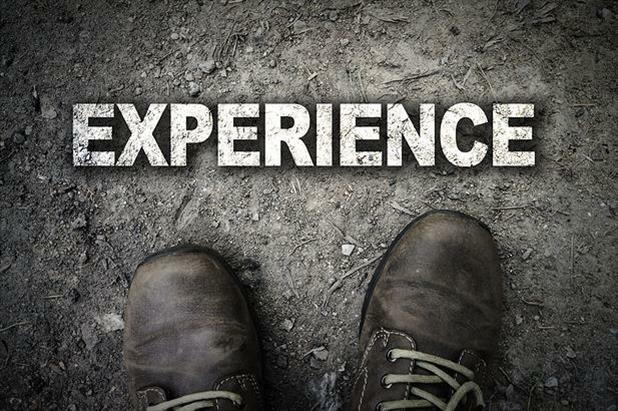 Ask: When did I go above and beyond the expectations for my role? Did I receive any awards, honors, or special recognitions? Did I hold any leadership positions? There are many types of unpaid opportunities that will help you find success in your job search. Below are some examples with explanations of how each might prove useful. Volunteering in your field: Donating your time to a cause in your own industry is a great way to get your foot in the door. Though you may not be working in the same capacity as you would in a paid position (for example, a veterinarian cleaning cages and sterilizing equipment at a wildlife rescue center), the networking opportunities and potential for future referrals are great scaffolds for your job hunt. Make sure to consider the group’s reputation—positive or negative—within the sector before including it in your application. Nationwide network of court-appointed volunteer advocates for children in legal and social service systems ensuring placement in safe, permanent homes. Met weekly with adolescents referred by Frederick County Juvenile and Domestic Relations District Court as result of abuse and/or neglect. Created court-requested reports outlining treatment plans. Worked closely with family members and paraprofessionals throughout advocacy period. Volunteering outside your field: If you have a particular mission you’re passionate about, you’ll feel driven to take initiative and apply the skills you have to real-world problems. These achievements and projects are big attractions for employers looking for innovative, proactive candidates. To make this really work for you, however, you should try to gain a position relevant to your career. For example, the following candidate worked in a Customer Service capacity, which is relevant to her career, for a company focused on social services. Fulfilled role as bilingual Customer Service Representative/Receptionist for XYZ Family Services, an organization dedicated to helping families and children in central NC; greeted clients, collected payments for classes delivered on site, assisted with registration process, and maintained/updated files. Continuing education: Getting additional education and/or certifications under your belt is a great use of your time. Attending local workshops, seminars/webinars, and courses at your local college shows hiring managers that you’re willing to learn and gives you the chance to expand your core competencies toolbox. Plus, you have total control over which areas you choose to study. Took 25-hour Frederick County Domestic Violence Workshop covering fundamentals of domestic violence and its impact on children, points of system entry for survivors, offender services, cultural competence, resources/referrals, safety planning, advocacy, and crisis intervention. Internships/Externships: These opportunities are designed to feature a large learning component. Take advantage of this, asking questions and working hard to grow in the limited time you have with that company. Supervisors can make excellent references, or might even recommend offering you a full-time position, so always seek to perform as well as possible and make the best impression you can! Hired to support Assistant Research Professor conducting high-pressure mineral physics experiments. Prepare micrometer-sized crystals for microprobe analysis, XRD, and infrared and Mössbauer spectroscopy. Polish crystals from average size of 1K microns to 15–40 microns. Utilize Plot85 and Peakfit 4.12 to examine spectroscopy data following conclusion of experiments and compile results into MS Excel spreadsheet. Accepted invitation from Associate Research Professor and traveled to Brookhaven National Laboratory in NY to participate in synchrotron experiment. Constructed diamond anvil cell (DAC) for use in high-pressure research and assembled furnace heaters for DAC. Extracurriculars: Though unrelated clubs and hobby groups aren’t specifically relevant to your career, the leadership opportunities that typically arise with seniority are worth considering if you need additional resume material. Co-founded society and plan/execute membership drives, group meetings and events, and fundraising efforts. Academic work: Significant academic ventures may be included in a resume if it supports your career goals in a specific way. This includes individualized studies/independent research, extensive group projects, and any endeavors you undertake with invitation from a mentor. Regardless of whether you choose to include these initiatives in your resume, you should add the results to your career portfolio. Completed numerous courses encompassing Transmission Systems, Distribution Systems, Electrostatics, Fault Analysis, Engineering Economics, and Electronic Design. Attended wide variety of seminars and workshops including MATLAB and Simulink (2014), PWB and Soldering sponsored by IEEE (2013), Labview (2013), Career Success Workshop sponsored by IEEE (2013), and PCB Workshop (2013). Glucose Sensor Transmitter (GST) Charger: Selected by Electrical Engineering Department for senior design project in partnership with staff at Medtronic, Inc. Served on 4-member team tasked with designing a portable charger capable of retrieving stored data and compatible with Medtronic’s Continuous Glucose Monitoring device. Devised power distribution path to minimize power losses through circuit, purchased hardware and performed cost analysis, constructed prototype on breadboard, and tested parts. Saved 70% on project’s original budget of $5K, spending $1.5K to build working prototype and completing project on schedule and in adherence to all specifications. Social groups: Professional associations and college/university Greek organizations are excellent networking opportunities. It is easy to get to know people in a calm, fun environment. The demands of job searching can be overwhelming at first, but don’t worry. Almost every entry-level job seeker is in the same boat, breaking into the workforce with little relevant paid background to pad an application. By staying focused and expertly leveraging unpaid experience for your resume, you can rise above the competition and take your next steps toward career greatness. How Can Recent College Graduates Land a Full-Time Job? Starting Your First Job Search? Read these 5 Tips for College Grads Entering the Workforce.